Whether you’re into sipping champagne well past the clock strikes midnight, or you prefer to spend New Year’s Eve on the couch so you can dust off the bucket hat for a sun-drenched New Year’s Day, this slick beachside venue has you sorted for both. Go back-to-back this year with a legendary New Year’s Eve party in 2018 and begin 2019 sipping mimosas beachside while dancing to Client Liaison's DJ set at Watsons Bay Boutique Hotel. Let loose on the biggest night of the year with epic beachside views of the fireworks and electro beats from back-to-back DJ’s. The evening kicks off at 5pm with local DJ and producer Jesse Porches warming up the decks (he’s worked with names like Flume and Skepta) before Northern Beaches-born MUTO takes the stage to ring in the New Year. The massive lineup will keep you busting shapes through until 2am. 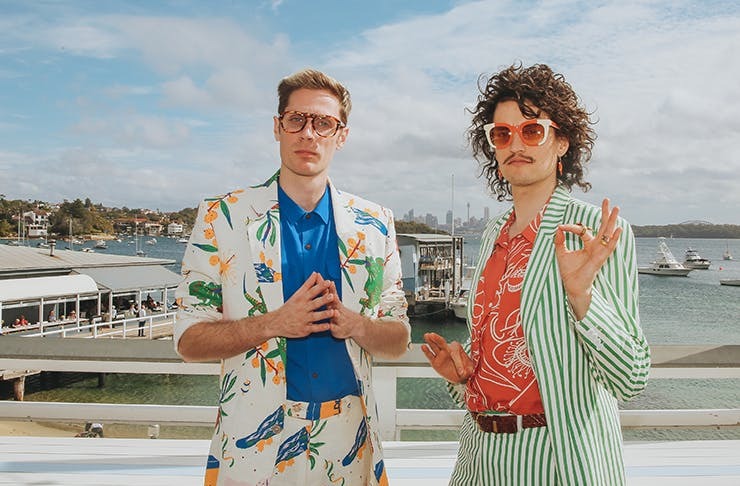 First release tickets have already sold out, but the team at Watsons Bay have come out with limited-release general admission tickets that’ll put you front row at the DJ booth for guaranteed good times. The best part is tickets are only $99* (plus booking fee) when you enter the code 'WBBHTUL' at check out. Go one better with VIP tickets that include a summer cocktail, roaming canapés and a two-hour drinks package, plus exclusive bar and balcony access to the best spot for ‘gramming the fireworks. Snag your third release ticket before they sell out again (hint: they won’t be selling at the door). Watsons Bay is also making sure guests get home safe in the early hours of 2019 with ferry transfers to Manly ($43.50) and Rose Bay, plus a bus to Bondi Beach and Bondi Junction once the event wraps ($43.50). Cost: *General Admission $99 (plus booking fee) when you enter the code 'WBBHTUL' at check out (regular price $134.28) and while tickets last, VIP Third Release $287.28, get yours here. Kick off 2019 (and kick on from the night before) sipping summer cocktails while Client Liaison spin the decks alfresco style. This intimate soiree kicks off at midday with performances from Caitlin Medcalf, Jack Kennedy and Tom Tilly (to name a few), all set to a 180-degree backdrop of the Sydney Harbour. Once the sun drops, step into the Sunset Room for an eclectic DJ set from the headliners full of 80's vibes. The boys have also taken over the menu so get ready for some nostalgic nibbles and classic cocktails. Tickets have been capped to ensure a super intimate vibe so claim yours before they’re gone. Cost: VIP Third Release $226.08, get yours here. Editor’s note: This article is sponsored by Watsons Bay Boutique Hotel and proudly endorsed by The Urban List. Thank you for supporting the sponsors who make The Urban List possible. Click here for more information on our editorial policy.